Hunter Trials, Paces, Tests, etc. Snapshot gallery of Leonberger images - starting with images of a three month old puppy on her first day away from mom and the rest of her litter. All images are copyright 2006-2009 J. Andrew Towell. All uses are prohibited without the express prior written permission of the copyright holder - who can be reached at troutstreaming@gmail.com. 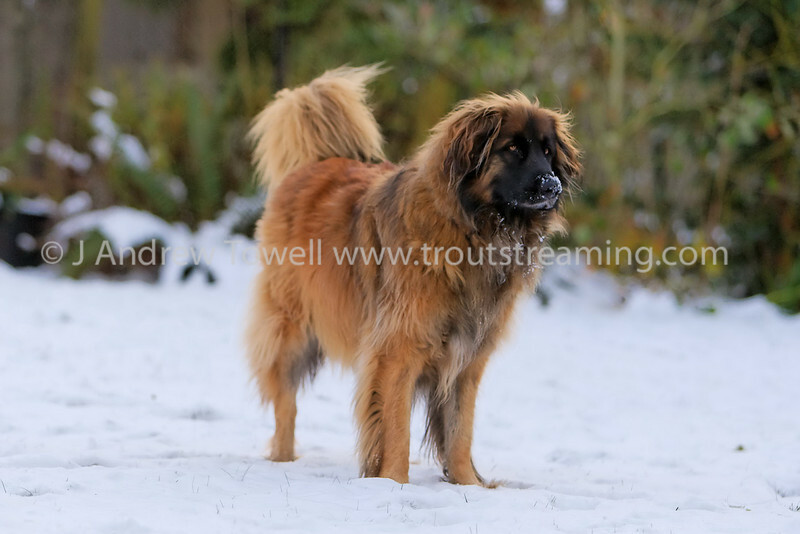 Snapshot gallery of images of a Leonberger. Images acquired as RAW files and have beenbatch processed for display on the web. Images Copyright © 2008 J. Andrew Towell All Rights Reserved. Please contact the copyright holder at troutstreaming@gmail.com to discuss any and all usage rights. Please contact the copyright holder at troutstreaming@gmail.com to arrange for any and all usage rights or to discuss your photography or web design needs.